All five starters score in double figures as Wiz cruise to 117-101 win over New York. All five Wizards starters scored in double figures led by Bradley Beal with 28 and Markieff Morris with 24 as the Wizards blowout the Knicks, 117-101, en route to their 15th straight victory at Verizon Center. John Wall was magnificent again tonight with 15 points to go along with 13 assists and Kelly Oubre Jr. was a nice spark off the bench with 14 points. The Wizards are riding a five-game win streak and have won nine of their last 10 games overall. Unlike past games, the Wizards got off to a slow start in this one. Washington started just 4/11 from the field and found themselves down 16-8, early. John Wall dazzled the crowd as he raced down court and spun through the lane for this acrobatic layup. That sparked the Wizards on a quick 6-0 run. Carmelo Anthony exploded for 13 points in the first period as the game was tied at 28 after one. The Wizards were a bit sloppy in the second quarter as they committed seven of their 12 turnovers. New York couldn’t capitalize, though. Washington used a 10-2 run to get back in this game and led, 59-54 at halftime. Unlike the first quarter, the Wizards were red hot to start the second half. The team connected on eight of their first 11 field goals and used a 14-3 run to take a commanding, 75-56 lead. Otto Porter, who was held scoreless in the first half came alive, knocking down five of his six shots in the period as he had 10 points in the quarter. The Wizards led 91-76 through three quarters. The Knicks used a mini 6-0 run to cut the lead to 13 early in the fourth quarter but the Wizards had an answer. Baskets from Burke, Morris, and Oubre ended that run putting the Wizards up 20 as they’d coast to another victory at home. In what seems like the first time in ages, the Wizards actually got off to a slow start tonight. The team connected on just four of their first 11 field goals and found themselves in an early 16-8 hole. Fortunately, this game was against the Knicks, a team not too fond of playing defense. Even with the slow start, the Wizards were tied at the end of the first quarter and went on to blowout the Knicks. Morris notched another double-double tonight with 24 points and 10 rebounds. Morris shot 9-14 from the field and was 2-5 from three-point range. The article from Bleacher Report saying Morris wasn’t a top-30 Power Forward really lit a fire on him as January 2017 was the best month of his career. This is the player the Wizards faithful envisioned when management traded for him at the deadline last year. 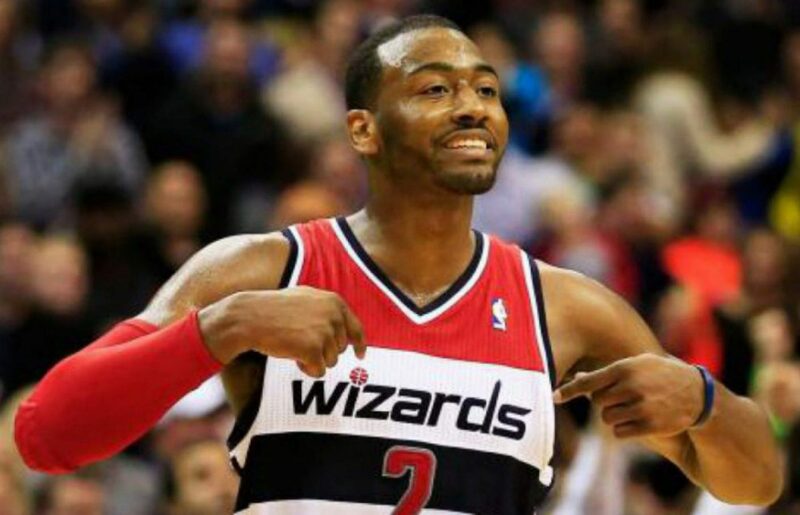 Previous postWizards vs. Pelicans final score: Wall notches 19 assists as Wizards win, 107-94. Next postWizards win their 16th straight at Verizon Center behind 33 from Wall.